The Laughlin Law Firm in Sioux Falls, SD represents individuals who have suffered auto accident injuries across South Dakota. Our goal is to offer our personal injury clients quality legal help that results in maximum financial compensation. Our areas of practice go beyond simple auto accidents, we can help with truck crashes, pedestrian incidents, and even bicycle collisions. It is a good idea to talk to a South Dakota auto accident lawyer because some insurance companies are not likely to pay quickly or in the amount deserved. The goal of an insurance company is to maximize profits for shareholders or policyholders. The initial settlement offer is often too low to cover medical bills or other damages like lost wages, pain, and suffering. It is also common to require a signature on a liability release form, which means further action can't be taken by the victim once a settlement is reached. Laughlin Law can litigate many kinds of traffic accidents - including car, truck, bicycle, and motorcycle accidents. There is a risk of a car accident anytime a driver gets behind the wheel of an automobile. Accidents are bound to happen, whether on rural South Dakota roads or on the busy streets of Sioux Falls. Car accidents injury about 2.5 million individuals every year! Factor in hazardous South Dakota road conditions from snow, ice, and rain, and it is easy to see why there are so many car accidents. No mater how cautious or careful a driver is, there are other careless drivers who may crash into you. In addition to property damage to a vehicle, damages that a victim of an accident suffers can include physical injuries like broken bones, traumatic brain injury (TBI), spinal cord injury, and even paralysis. Any time a South Dakotan is injured in a motor vehicle accident, whether the injuries are minor (like a sore back, headaches) or major (life-changing injuries), the victims should have the best car accident attorney by their side to receive appropriate compensation. Motorcycle accidents are common in South Dakota and the results can be devastating, especially when no helmet is worn. Motorcycle accidents also tend to have severe damages because the driver is more vulnerable to physical injuries. The metal "cage" present in a car or truck can protect drivers, but a motorcycle does not have this additional safety feature. A motorcycle accident can cause lost wages, pain, suffering, medical bills, and permanent life-altering injuries. Be sure to have a qualified South Dakota motorcycle accident lawyer on your side while navigating the legal issues after a motorcycle crash. Our Sioux Falls personal injury law firm also handles truck accident cases. 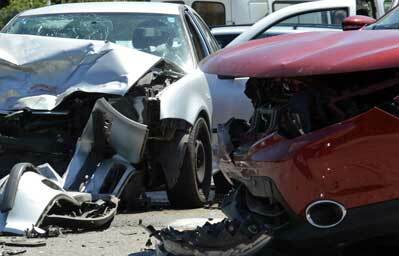 There are a few distinct but important differences between car accidents and truck accidents. First is the degree of injuries - when a truck crashes with a car, the car is much lighter than the truck. This weight difference means the accident is capable of causing much more damage on the car and its occupants. Fortunately, commercial trucks, semi-trucks, and tractor trailers usually carry better insurance, sometimes one million dollars and above. If the accident damages are high, there is a good chance of collecting against the insurance company. It is often in people's best interest to hire a truck accident attorney in South Dakota to make sure adequate compensation is distributed. If you are looking for the best truck accident attorney in Sioux Falls, SD, please contact us today.